it’s icky & squishy & filled with tiny orbs. This addictive new ball will provide loads of fun. 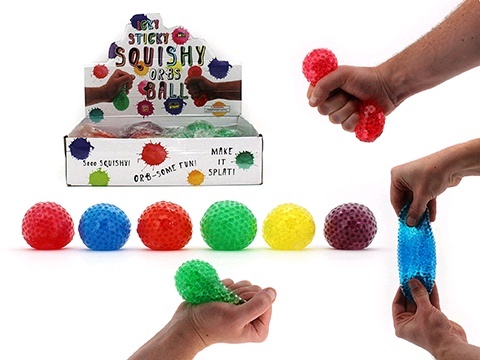 Use it as a stress reliever, squish it in your hands, stretch it or make it splat.